(Joshua Paladino, Liberty Headlines) The Centers for Medicare and Medicaid Services proposed a rule change that would prevent states from “skimming” Medicaid payments to pay unions, according to a CMS press release. The Senate Committee on Homeland Security and Governmental Affairs revealed in May that the rule allowed states skim $200 million from Medicaid beneficiaries each year, oftentimes without their knowledge. “The law provides that Medicaid providers must be paid directly and cannot have part of their payments diverted to third parties outside of a few very specific exceptions,” said Tim Hill, acting director for the Center for Medicaid and CHIP Services. Washington skims 3.2 percent from home caregivers Medicaid assistance before they receive it. 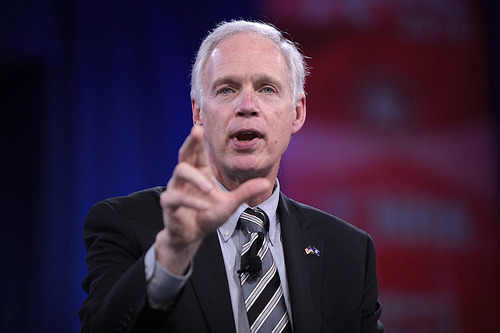 Sen. Ron Johnson, a Republican from Wisconsin and chairman of the Homeland Security and Governmental Affairs Committee, praised the changes initiated by the Trump administration. An Olympia-based think-tank, Freedom Foundation, sued in federal court on July 3 to prevent Washington from skimming Medicaid payments, asserting the right of non-union employees to not have to pay dues without their consent. The Social Security Act outlines few circumstances in which states can divert Medicaid payments, such as for “wage garnishments, child support orders, or judgments for monies that are owed to the state,” but collecting union dues is not one of them. “This proposed rule is intended to ensure that providers receive their complete payment, and any circumstances in which a state does divert part of a provider’s payment must be clearly allowed under the law,” Hill said.